During October Book Outlet had a Booktoberfest sale that made everything on their site an additional 15% off of their already low prices. Plus if you presigned up for the sale you got a $5 off a $35 or more order. Needless to say I took full advantage of this sale. I got all of the books shown above for $43.88 including shipping! I loved Since You’ve Been Gone so when I saw it on Book Outlet I knew I had to buy a couple of copies. I got one to give to my niece and another to hopefully do a giveaway with at some point. I of course had to get a copy of Amy and Roger’s Epic Detour because I have yet to read it. Blue Screen, Sweet, Because You’ll Never Meet Me. 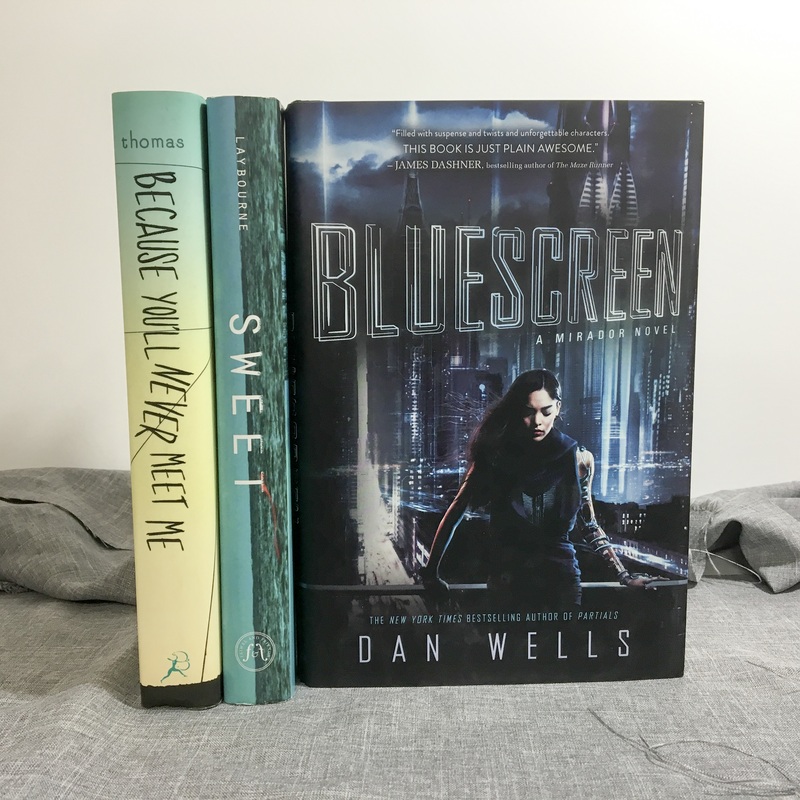 I loved the Partials trilogy by Dan Wells so I have high expectations for Bluescreen. I’m also so excited to finally read Sweet, I read the Monument 14 trilogy by Layborne a while back and I can’t wait to see if I like some of her other books. 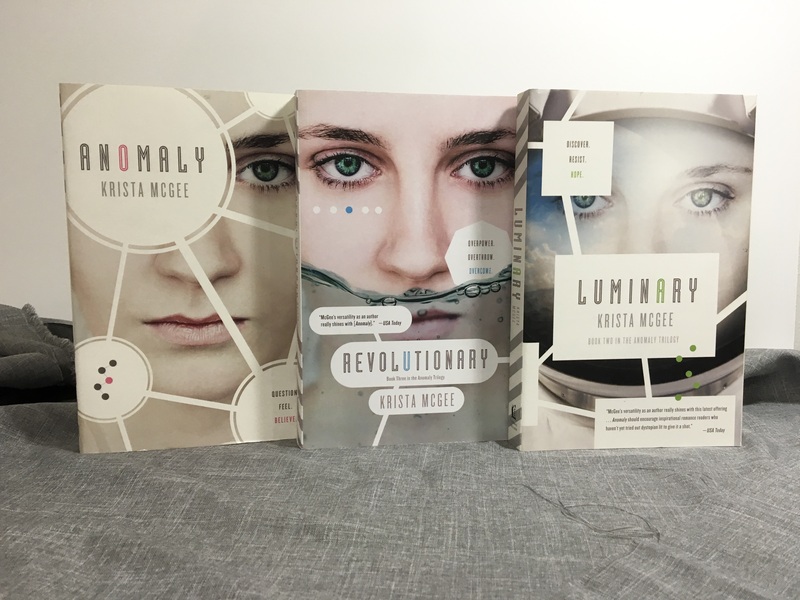 I got the Anomaly trilogy for my niece. I found out about these books a while back and I think they will be perfect for her. 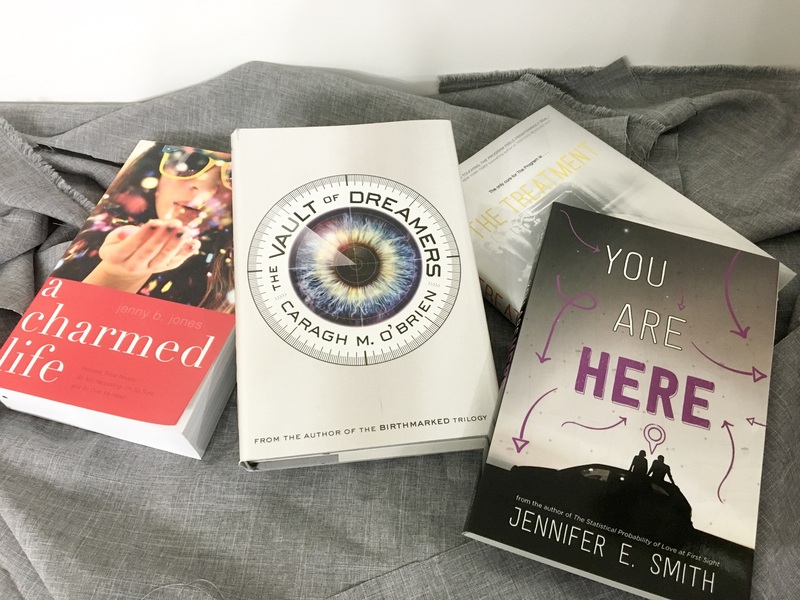 The Vault of Dreamers, You Are Here, The Treatment, A Charmed life. I thought when I ordered A Charmed Life that I was just getting the first book in the trilogy but it ended up being all of the books in one, which I thought was incredible considering I paid $3.39 for it. 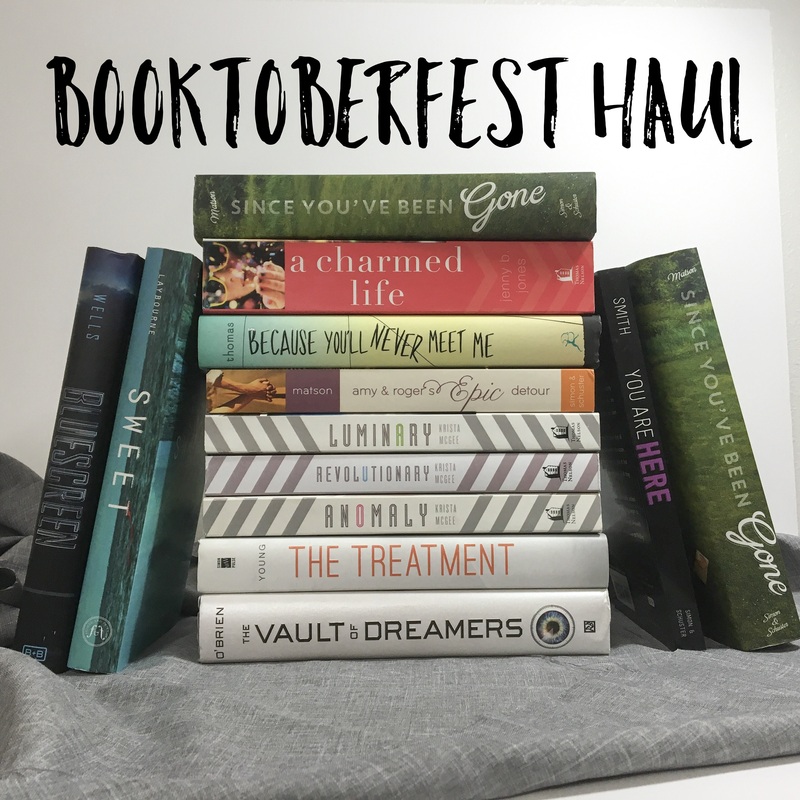 Did you happen to catch the Booktoberfest sale? 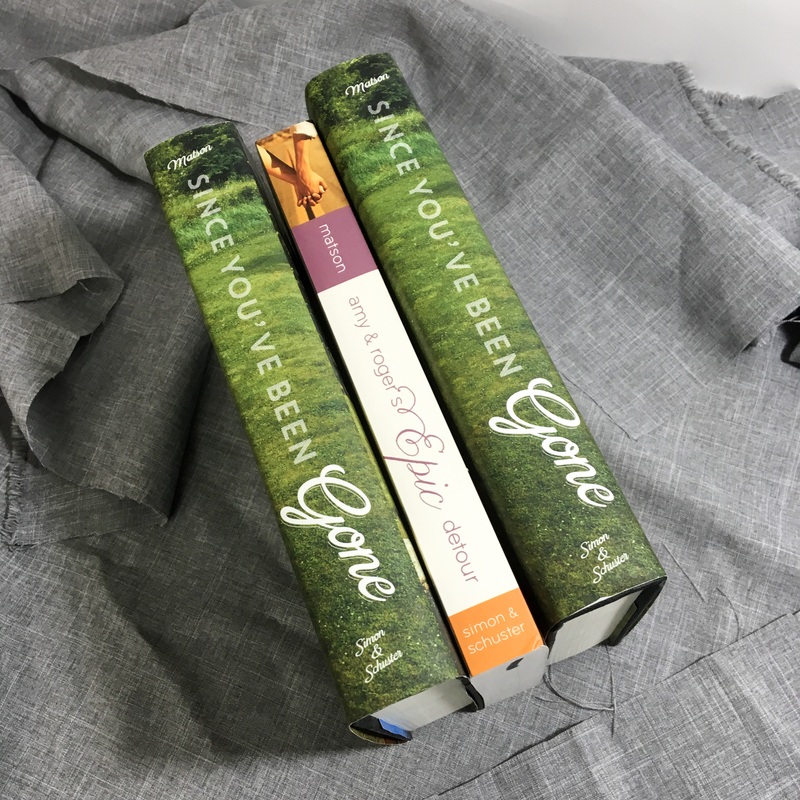 If you’ve gotten any new books which ones are most excited about reading?